Bostik is an innovative, top quality range of creative Art & Craft products and stationery adhesives ideal for just about any school project, art project or creative craft idea. 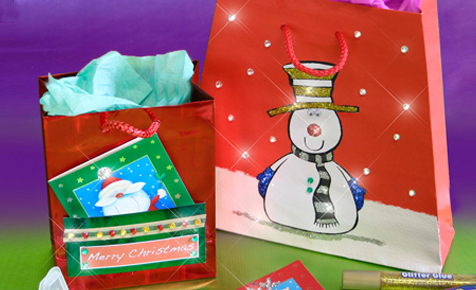 Create these Great Gift Bags from scratch using cheap off the shelf plain bags - buy them in bulk and save yourself a fortune. There's nothing more special than a handmade craft.